Jonathan Vitale is a Postdoctoral Research Fellow at the Innovation and Enterprise Research Laboratory (The Magic Lab). Jonathan has a Bachelor degree in Digital Communication, a Master degree in Computer Science from University of Milan and a PhD in Information Technology from University of Technology Sydney. In his PhD research he investigated, from a computational perspective, how human faces are processed and represented to extract identity and facial expression information by mean of bodily motor representations, and how such facial features impact on human social and emotional cognition. Jonathan serves as peer reviewer for conferences in cognitive science and social robotics areas, such as the Annual Meeting of Cognitive Science Society, the International Conference on Social Robotics, the IEEE International Symposium on Robot and Human Interactive Communication and the International Journal of Social Robotics. He was part of the local organising committee at the 6th International Conference on Social Robotics, co-chair of the 1st workshop on Attention for Social Intelligence and co-organiser of the 1st workshop on Human-Robot Engagement in the Home, Workplace and Public Spaces at IJCAI 2017. He actively engage with industry research partners to explore the design of social robotics applications in public spaces, such as shopping malls and airports. Jonathan's research interests cover topics concerning human cognition, computational models of cognition applied to artificial intelligence and design and development of social robotics applications for social good. Topics of particular interest are: face perception and processing, interactions of emotional signals with decision-making processes, embodied cognition theories, attention and executive functioning, ethically-driven technology design and psychological aspects of human-robot interactions. The face is a central communication channel providing information about the identities of our interaction partners and their potential mental states expressed by motor configurations. Although it is well known that infants ability to recognise people follows a developmental process, it is still an open question how face identity recognition skills can develop and, in particular, how facial expression and identity processing potentially interact during this developmental process. We propose that by acquiring information of the facial motor configuration observed from face stimuli encountered throughout development would be sufficient to develop a face-space representation. This representation encodes the observed face stimuli as points of a multidimensional psychological space able to assist facial identity and expression recognition. We validate our hypothesis through computational simulations and we suggest potential implications of this understanding with respect to the available findings in face processing. 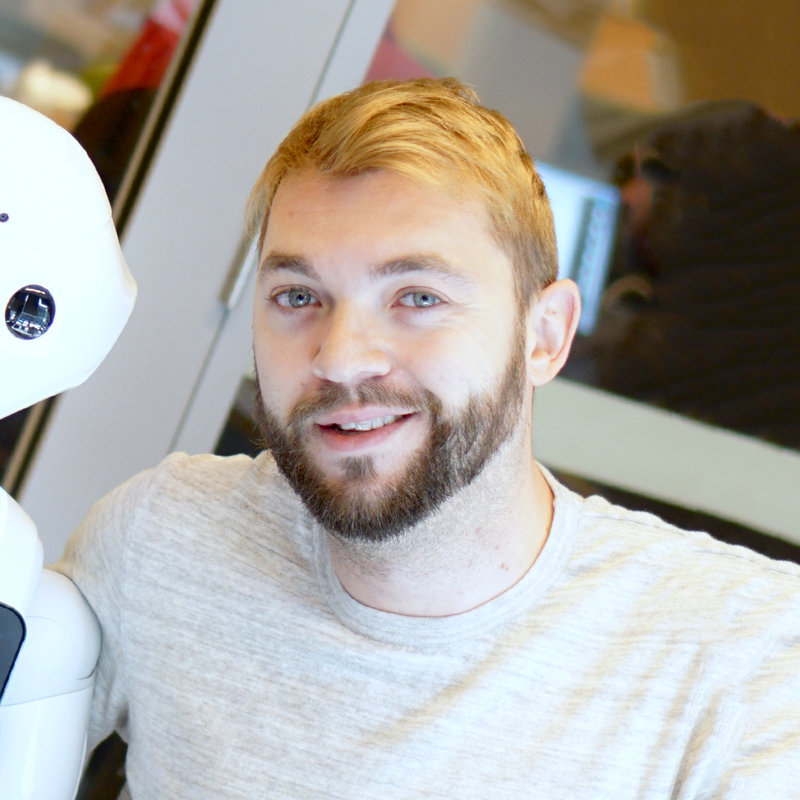 Social robots need intelligence in order to safely coexist and interact with humans. Robots without functional abilities in understanding others and unable to empathise might be a societal risk and they may lead to a society of socially impaired robots. In this work we provide a survey of three relevant human social disorders, namely autism, psychopathy and schizophrenia, as a means to gain a better understanding of social robots' future capability requirements.We provide evidence supporting the idea that social robots will require a combination of emotional intelligence and social intelligence, namely socio-emotional intelligence. We argue that a robot with a simple socio-emotional process requires a simulation-driven model of intelligence. Finally, we provide some critical guidelines for designing future socio-emotional robots. The aim of this work is to investigate a system able to detect facial expressions and to use them in a model for affect recognition in order to further investigate models for social interactions mediated by social signals. Vitale, J. 2010, 'Analisi e implementazione di un sistema neuro-fuzzy in architettura domotica'. Previous industry research partners included: Commonwealth Bank of Australia Innovation Lab, Stockland Property Group and Air New Zealand.